How do you know you are being moved by the Spirit or the Flesh? I started a Baptist Mission about a year ago. I lead the music ministry as pastor. I prayed for 8 months for God to send someone to help me lead our music and God answered. This young man is on fire for God and he plays the key board by ear, SO HE ADDS SOME EXTRA NOTES which is great for the songs we sing which are taken from the heavenly hymnal and some praise songs that give our God the highest honor. A certain man in the church seems to think it is bar room music. I have tried to explain to him with a tender heart that our music is biblical. Yup you quessed it, I had no luck with him. He holds his fingers in his ears during our song service. I could just ask him to leave because it hinders the service, but I love him in Christ Jesus. I would like to help him, but I am out of answers. Comments for How do you know you are being moved by the Spirit or the Flesh? It's a matter of opinion... however unity of thought is when individual opinions are illumined by divine wisdom ... True heavenly music is heard with the heart and it is original and uplifts the soul. 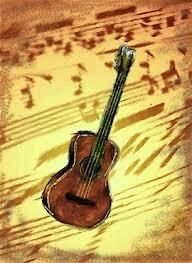 Many lovers wish to praise God through their given talents such as music and song. We need to discern whether the music has come from a heavenly source or from the lower nature of man, which evokes lust and inflates ego.